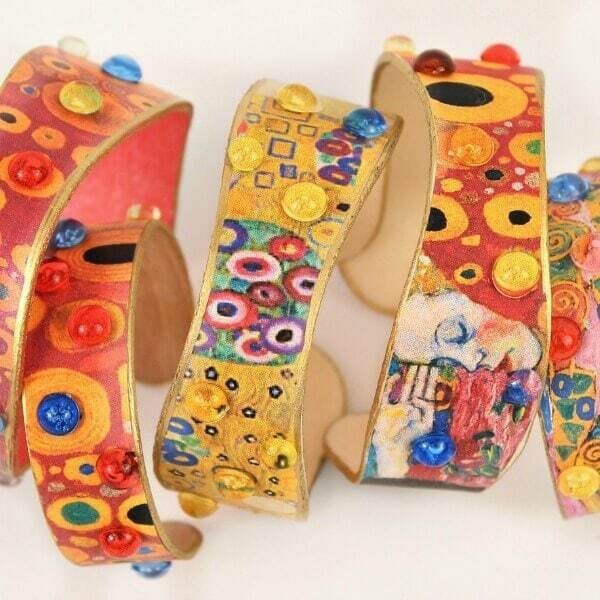 Make Gustav Klimt inspired jewelry with this simple craft stick DIY! A terrific project for both adults and kids and a fun project that you can do together. This post was submitted by Mark Montano and is shared with their permission.